You are cordially invited to attend our Ag Appreciation Day on December 8th, 2018. 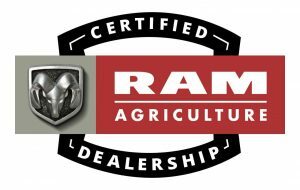 We will have guest vendors showcasing products that are part of Ram’s AgPack farm and ranch management tools that come as an added bonus when you purchase a Ram vehicle from Peterson’s DCJR in Nampa. Idaho’s agriculture industry is no small potatoes, earning the state an average of $27 billion annually. It ranks in the top 10 in the nation for 26 different crops and livestock. Overall, more than 180 commodities are produced in the state at 27,000 farms across 11.5 million acres of farmland. By working closely with key agricultural corporations, Ram has assembled a package of farm and ranch management tools that accompany every new Ram truck when purchased from a Certified Ag Dealer. From tools to manage your farm, to the predictive analysis software, to the nutrients you need for bigger profits. *$1,000 toward Agroliquid Crop Nutrition. *Ram exclusive rebates on Gallagher Livestock products. We will have food, prize giveaways, including a chance to win a new 2018 Ram truck, and a chance to grab some cash in the ICCU Money machine! You do not want to miss this great event! Save the date!